LED Display continues to develop and technology is also upgrading. In the future, LED display tends to be thin and high-power, and LED screen splicing technology is becoming more and more mature. With the growth of LED display development time, the application field is more and more wide, the user's understanding and awareness of LED display is also deeper and deeper, the problem that we did not understand before is gradually showing. From the technical point of view, there are still some problems in China's LED display technology. 1. The lack of brightness. LED display is the main advantage of resilience and complex outdoor environment, the characteristics of the outdoor environment require LED display in sunny day, cloudy, rain and snow weather, distance, multiple points of view on can guarantee enough brightness to convey information, so the brightness is particularly important, and the shortage of the LED brightness makes the LED can only act as a supporting role in the lighting industry, mainly used for decoration, for the tens of thousands of star LED the integrated use of is a huge challenge. 2. LED color difference. The application of a single LED, basically there is no color difference problem, but the comprehensive use of many LED, color difference will be highlighted. Although existing technologies have been used to improve this problem, due to the limitations of domestic technology and production level, there are still differences in the same batch of LED in the same color area, and such differences are difficult to escape the critical eye, so it is difficult to ensure the color reductivity and verisimilitude of LED display. 3. LED Digital Display control chip. 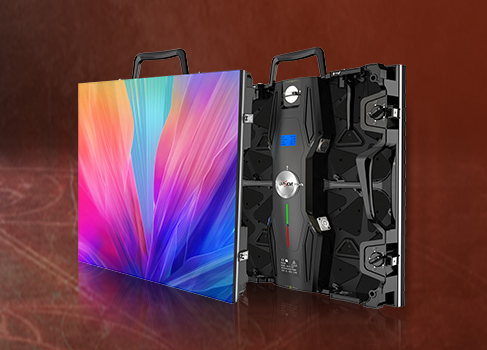 As a new kind of display media, true color high resolution LED electronic display has been paid more and more attention for its clear image and high performance. As for LED display unit, three-color LED core is its core device, so it should use high-quality core with small wavelength difference and good luminescence intensity consistency. This technology is mainly in the hands of world-renowned large companies, such as niya company in Japan. 4. Heat dissipation. Due to the great change of outdoor environment temperature and the heat generated by the display screen itself, if the environment temperature is too high and the heat dissipation is poor, the integrated circuit may not work properly, or even be burnt down, so that the display system cannot work properly. Any industry development will encounter technical problems this neck bottle, especially high-tech industries such as LED display screen. Only producers face up to the problem, can promote the development of the whole industry. Next: How To Make Outdoor LED Advertising Screen Installation Debugging?